Seriously, I’m kind of tired of playing the typical RPG in which I take on the role of the savior of the world. This kind of power fantasy, wish fulfillment story has its place, but boy would it be nice if we could see some different stories out there. 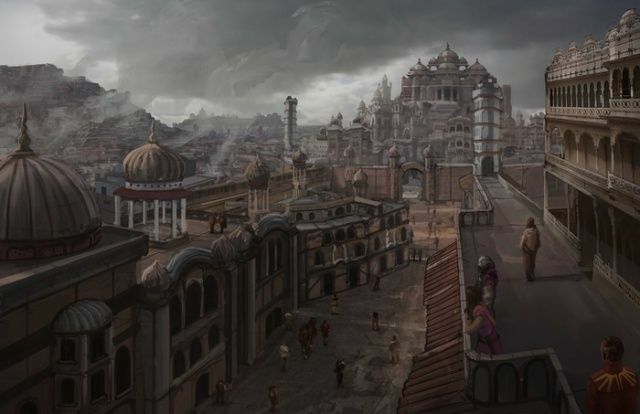 The developers behind Kickstarter project, Unrest, must have felt the same way, as their new online RPG is set in ancient India, for one thing (not a Tolkeinesque forest complete with Orcs and Elves), and will let you play as the ordinary folk struggling to maintain their freedom, safety, peace, and keep their children fed and happy. World of Warcraft, this isn’t. Unrest will let you explore drought and famine via an ancient Indian city, with a discontented populace struggling through hunger and poverty. There’s an extensive conversation system that you’ll be able to use to influence other non-player characters to gain allies. If you die, say the developers, the plot continues and your dead character becomes part of the story of the region. You’ll have to make tough decisions along the way to make sure you don’t die, of course, but most people do, right? Combat will be brutal, the artwork will be immersive, and the soundtrack will amaze, says the Kickstarter page. The project, currently over-funded at almost $30,000 of an asked for $3,000, has 47 hours to go. The team is looking to reach some impressive stretch goals (things they will do if they bring in more pledges), like a huge new city to explore, or two additional story lines to follow. With such a huge funding amount already pledged, it’s apparent that the gaming community wants something different, too. Unrest will be available across many platforms, including the Mac, and will not contain any unwieldy, insulting DRM of any kind. Head over to the Kickstarter page to learn more about this upcoming RPG, and pledge your support if you do that sort of thing. We all need to back projects that have the potential to change gaming for the better.